Let’s accept it; monsoon reminds each one of us of our childhood, especially school days. Dancing, playing, splashing in the potholes and singing in the rains as a child leaves an indelible mark in our memory. Unfortunately, when we grow up, we miss that carefree spirit and freedom. However, there are places that welcome this beautiful season of rains so convivially that they take you back in school days and make you dance like a child. So this rainy season, how about reviving those carefree spirits at some of the most beautiful monsoon destinations in India. 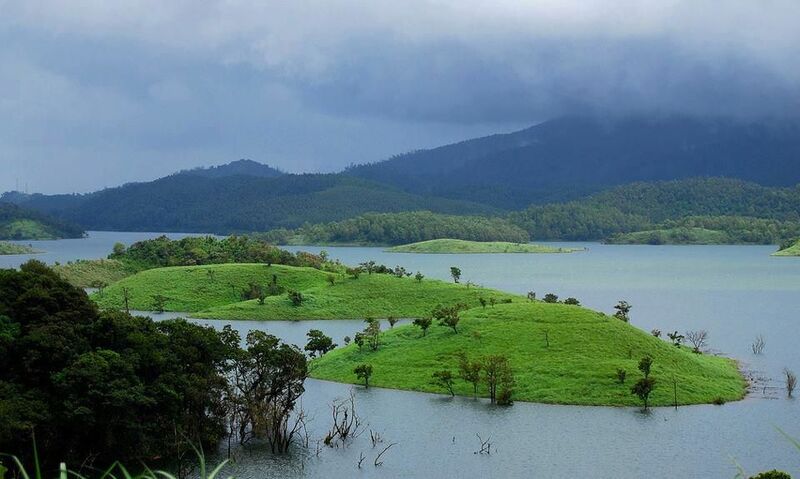 Wayanad is one of the most renowned and well-known hill stations in South India. An array of paddy fields makes it a land of heavenly trails. Wayanad is serenely beautiful and known for its culture, traditions and tribal heritage. Monsoon tourism is gaining a lot of popularity in this small hill station, for its fresh green plantations, cool winds and trekking through the rainforest. 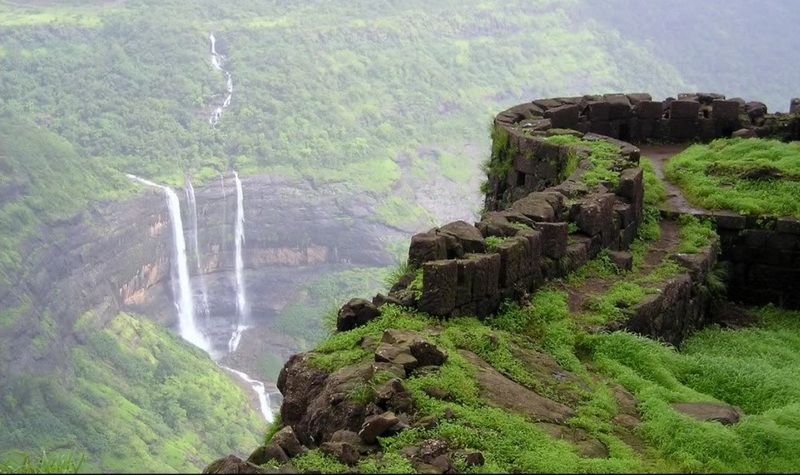 Lonavala, the most popular hill station in Maharashtra, has a completely different flavour in monsoon. This well-liked weekend destination for the people of Mumbai and Pune comes alive in rains with plush green fields. A lot of people flock Lonavala for trekking in rains and enjoying the mesmerizingly misty views from the many viewpoints of the hill station. 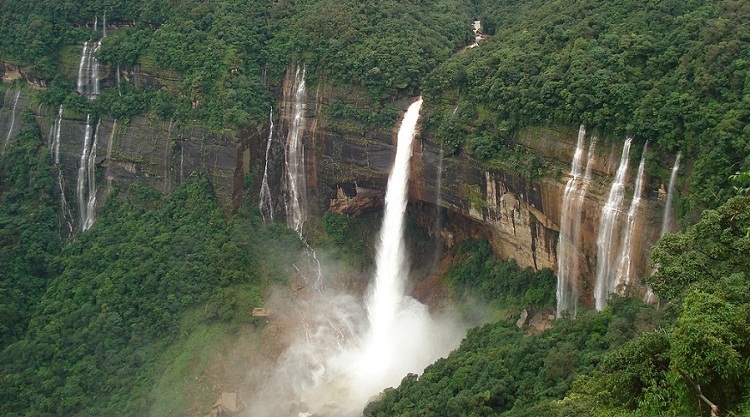 Shillong receives heaviest rainfall during monsoon which makes it a must visit for rain lovers. The picturesque valleys of Khasi and Jayanti hills during rains are sure to delight the aura around you. Popularly known as abode of clouds, the picturesque landscapes and the green pastures of Shillong are worth giving yourself over to. 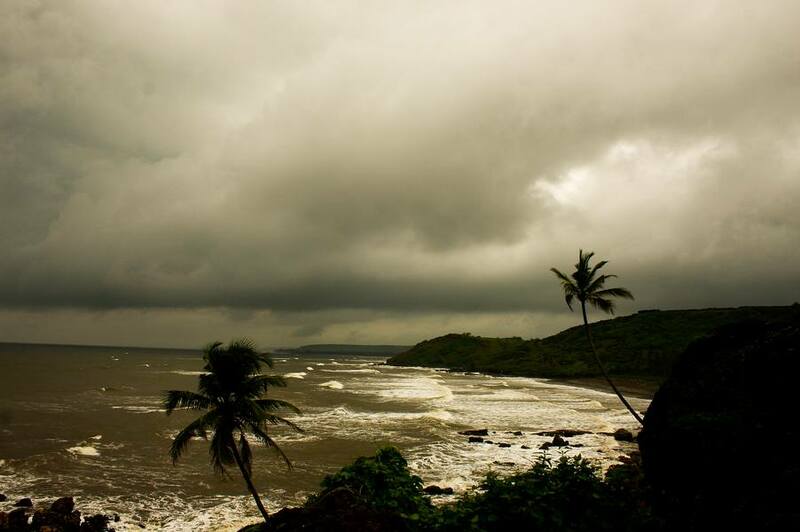 Monsoon adds a punch to the carefree spirit of Goa. You will experience a lot of flavours in this season including rains, sunny and cloudy days. Sadly, you can’t indulge in water sports and other usual activities, except for some trekking trails, but it’s a perfect time to chill, relax and unwind while savouring Goa’s local cuisines. 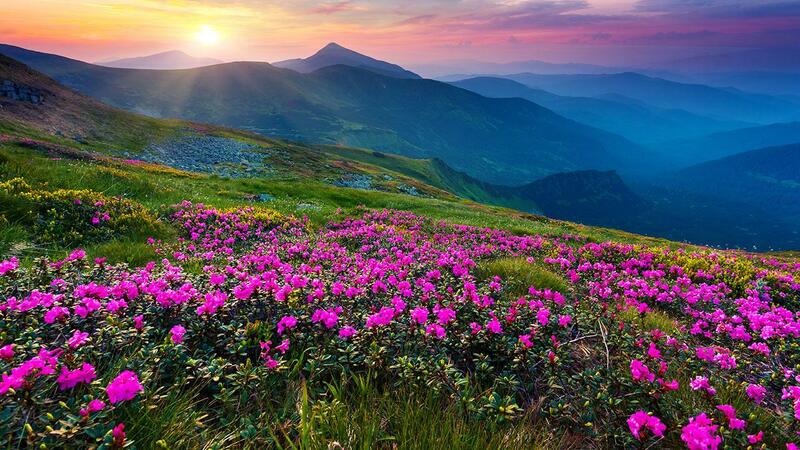 Valley of flowers belongs on every traveller’s bucket list and the month of August is the best time to pay a visit to this World Heritage Site nestled in the tranquil Himalayan range. The good news is that August is nearing and so is the opportunity to witness new flowers and plants bursting into bloom. Popularly known as India’s lost city, Hampi features culture-packed locales and rambling ruins. The interspersed rocks and gravity defying boulders make Hampi a must visit destination, especially in monsoon. 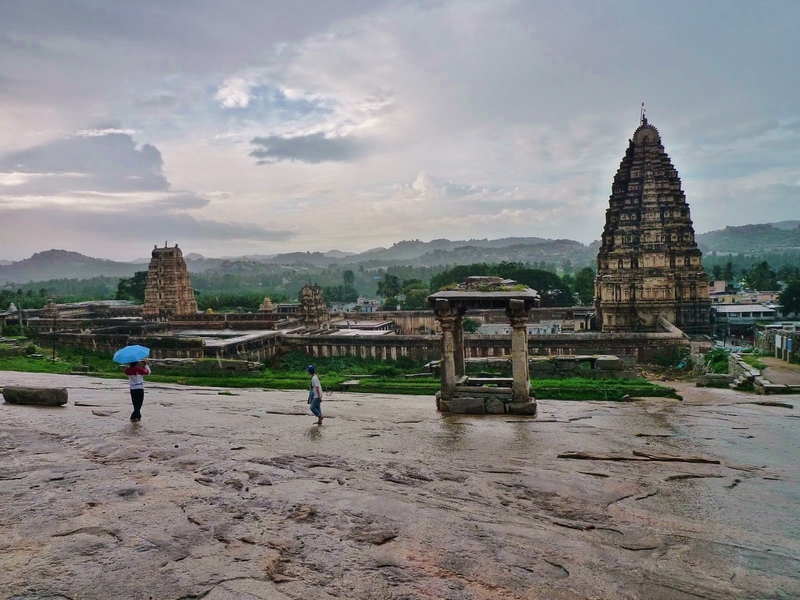 The months of August and September experience pleasant weather with mild rains, makes for the best time to witness the ruins of Hampi. 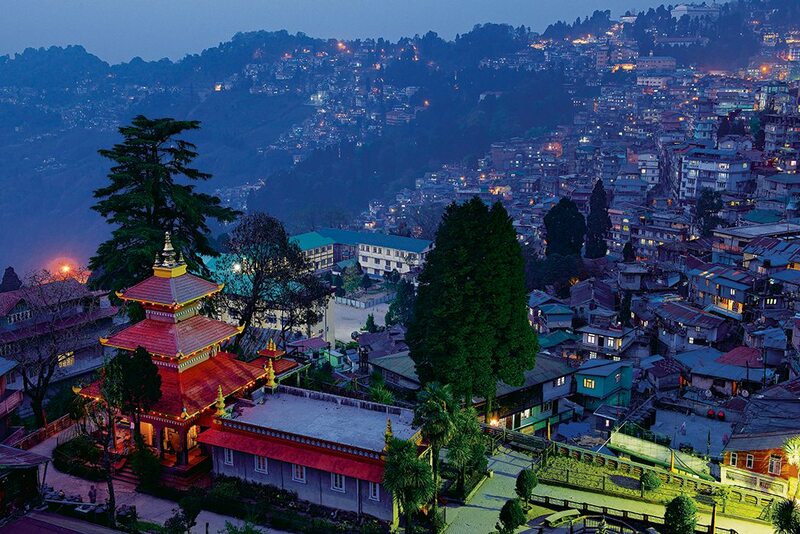 Darjeeling is a wise choice if you are looking for a refreshing monsoon destination in India. Sitting at the foothills of Himalayas and dotted with a plethora of tea gardens, Darjeeling receives heavy rainfall. The tea gardens come alive during rains and it’s a sight to behold. You can savour a refreshing cup of tea while watching the rains sprawling on the expansive gardens. 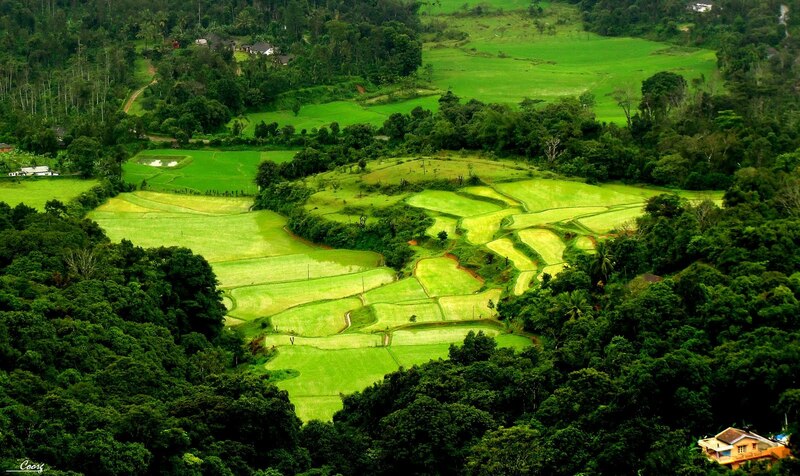 Also known as “Scotland of India”, Coorg is among the top monsoon destinations in India. If you love waterfalls along with heavy rain, Coorg is the go-to destination. The weather is extremely pleasant and the entire town transforms into lush green paradise. Outdoor enthusiasts can get their dose of adrenaline by trying their hand at river rafting. 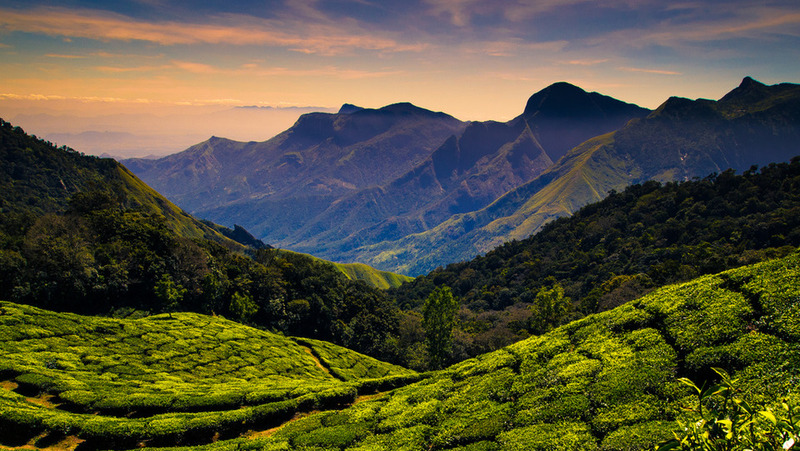 Munnar is a dream destination of every traveller. Whether you want a romantic trip or a perfectly planned family vacation, Munnar is the most sought-after monsoon destination in India. The rolling green mountains of Munnar are engulfed in the mist and raindrops revitalize everything around. 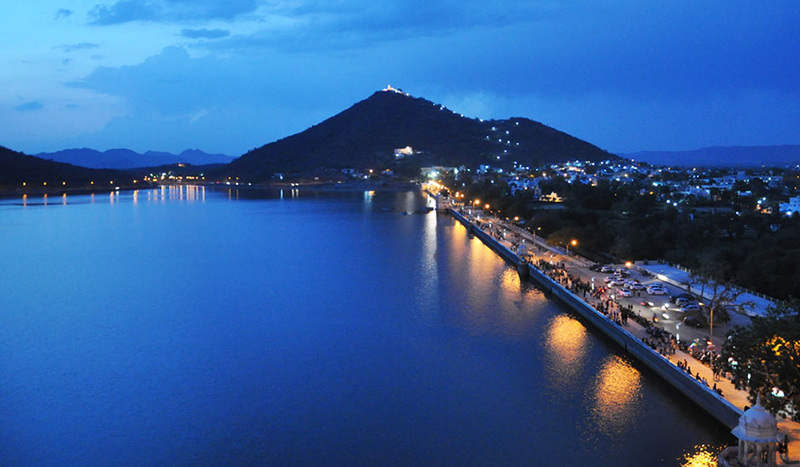 If you are planning a trip to Udaipur, monsoon is a great time to immerse yourself in the city of Maharajas without having to bear the scorching heat of Rajasthan. The lakes and their peripheries come alive with a hint of greenery during rains and one can take in these breathtaking views from the rooftop or windows of your royal palace. Mahabaleshwar is one of the most sought-after monsoon destinations in India, especially for those living in Mumbai and Pune. 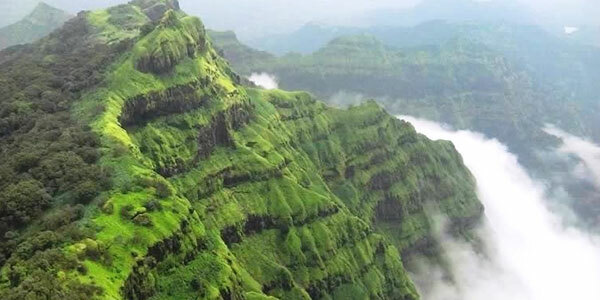 Being the largest hill station in the Sayadri range, Mahabaleshwar experiences torrential rains in monsoon. But, if you wish to get one with the cool, foggy and green hills, head over to Mahabaleshwar in the month of August. Kodaikanal is a breather when putting up with hot climate becomes next to impossible. If you can’t tolerate heavy rains, Kodaikanal is the ideal choice, for it witnesses moderate rainfall. You will fall head over heels in love with the clouds and sun playing hide and seek with mountains. Keep in mind that monsoon is the only time when this otherwise hot region is splashed with misty waterfalls. 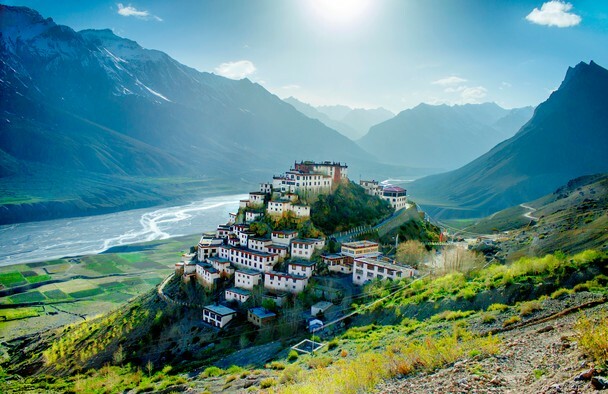 If Lahaul-Spiti Valley belongs on your travel bucket-list, August is the perfect month for a mid-monsoon trip to this magnificently beautiful region. Tucked far away from civilization, Lahaul-Spiti is one of those untouched destinations where many forget to tread. This monsoon, give yourself a chance to explore the unexplored beauty of this best kept secret of India. 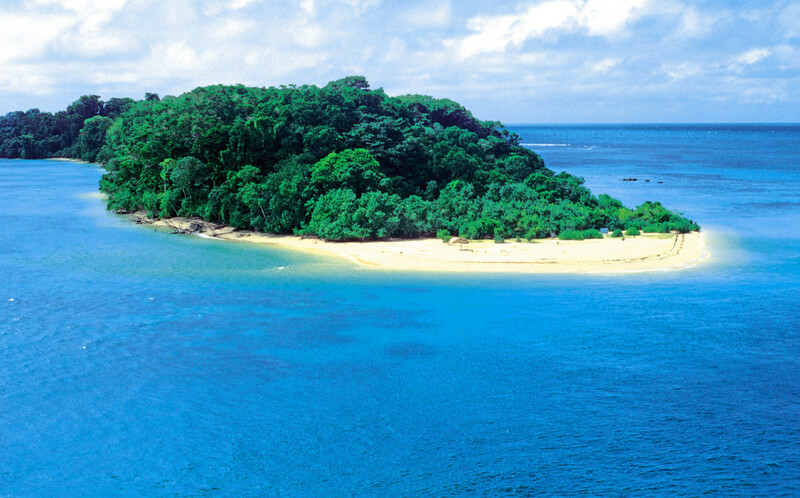 Now who does not want indulge in the oceanic beauty of Andaman’s. The pristine beaches and attractions including Cellular Jail, Dolphin Resort, Radha Nagar, and Phoenix Bay Jetty are worth exploring in rains. The rains are on and off during this season and days are usually sunny, making it a great time to visit Andaman without burning a hole in your pocket. 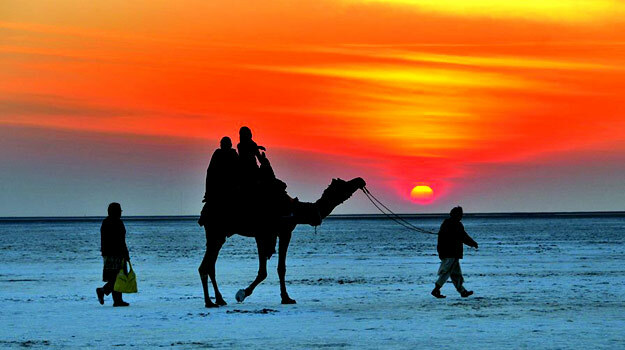 A perfect kaleidoscope of Gujarat’s true, Kutch is a perfect place to romance with the monsoon clouds of Dhinodhar hills. The vast desert plains and the wetlands submerged in water make for a dreamlike view. You can look out for wildlife safaris, rappelling and trekking to make the most of this beautiful salt land of India. Now that you know of the best monsoon destinations in India, start planning and make your bookings now! If you have explored a lesser-known monsoon destination or planning to explore one, we would love to hear about your personal experience.